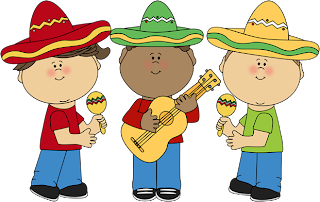 Cinco de Mayo (May 5th) is the celebration of Mexican culture in the United States and I'm pretty sure that teachers will be wearing sombreros and doing the Mexican hat dance! Baila! Baila! lol! It is very important to give kids the facts! Now I'm not talking about numbers and statistics here. Its about getting the story and getting it right! For example, did you know that Cinco de Mayo is not a national holiday in Mexico? Important as the date is to their history this celebration is more widely observed in the United States of America and other parts of the world by the Mexican populace. Of course, the town of Puebla in Mexico enjoy this festive event since the date is very significant for them.For more information on the observation and significance of Cinco de Mayo you can check out the following websites. Here is my Cinco de Mayo Mini Book of Facts for Pre-k to Grade 1. It is basic information on the celebration. It also includes a color-to-match activity for your kiddos. Click the picture for details. Teacher Appreciation Gifts Kids Can Make!